Many of our patients with strong dental fears have been able to correct years of dental neglect and problems in just one or two visits to Kelly Dental Care. Ask us about conscious sedation to help relieve the stress of some cosmetic dentistry procedures. We also provide dental implants, cosmetic dentistry and wisdom teeth. Tunkhannock area sedation dentists Dr. J Kelly Jr. and Dr. J Kelly Sr. and their compassionate staff are highly trained and experienced in calming the fears and anxieties many patients associate with dental procedures. Fear of the dentist should not keep you from getting the dental care you need, you'll be pleased to know that we are skilled in performing both routine and complex dental procedures while keeping you completely relaxed and comfortable. At Kelly Dental Care we offer a range of sedation dentistry choices. We're always happy to explain all the options to you and help you decide which sedation method is right for your dental anxiety needs. It's easy to make an appointment right now. Just call our helpful staff at (570) 587-4787 or complete our easy online form. Now is the best time to get the top dental care you deserve - we're looking forward to meeting you at Kelly Dental Care! If you're looking for a quality sedation dentist in Scranton you've come to the right place. Dr. Kelly offers sedation dentistry that Scranton residents have come to trust for caring and professional dental care. These benefits, often part of your employer's insurance program, are typically lost if not used. Please do not wait for the end of the year to take advantage of your dental insurance benefits, when our congested schedule at Kelly Dental Care may make it difficult to accommodate you at a convenient time for your own schedule. Call today at (855) 695-9467 to ensure your best health - particularly if you're due for your regular check-up and cleaning! Mouthwash can not only freshen your breath, but kill germs and bacteria that lead to cavities. Try to select a formula with fluoride. Many contain alcohol, which dries up the protective saliva in your mouth, so it's best avoided. While mouthwash a wonderful dental product, however, please remember that it cannot replace regular flossing and brushing. Remember, your dental health is our first concern at Kelly Dental Care. 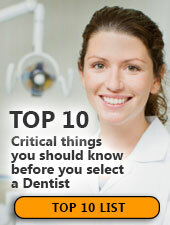 Please do not hesitate to call our office at (855) 695-9467 with your dental care questions, or to schedule a check-up! You owe it to yourself, and your pocketbook, to get regular dental care. Contact Kelly Dental Care today at (855) 695-9467 to schedule an appointment for a checkup and cleaning.